Its a beautiful morning, but I have to have a quick rant and get it over with. 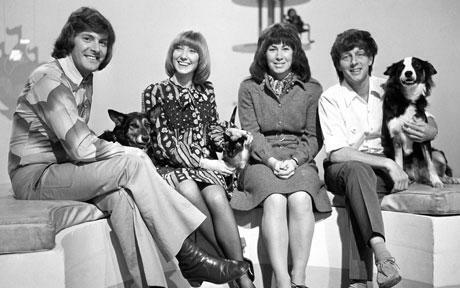 Listening to Evan Davies and Sarah Montague on the Today radio programme this morning, they mentioned that the last Blue Peter programme is broadcasting from London for the last time. Not entirely earth shattering news I hear you cry. Indeed not. What made me cross was that they played a couple of clips from the time that the BP garden was vandalised, back in the 70’s? (it was a long time ago), and then had a good old snigger at how quaint it was that the presenters were outraged that this had happened, and how some footballer has revealed that he helped to vandalise it. Did I miss something? Is it terribly last century to find vandalism a bad thing? Do forgive me but I’d have broken the little bastards hands. Mind you back in the 70’s it would probably have been ok to do that. It makes me feel a bit old when the elfin Mr Evans can have a wee chuckle at such high jinks. Am I unreasonable, or is it simply no longer cool to respect other people’s effort, rights and property? Bah. Right, Angry of Bangor bit over, I’m off to make some raised beds. Vandalise them at your peril. you’re justified and you’re right…..but you should be registering your righteous anger with the radio station….you won’t be the only one. Judith T.